Two weeks ago, (I can't believe it's been that long! Where does the time go?!) 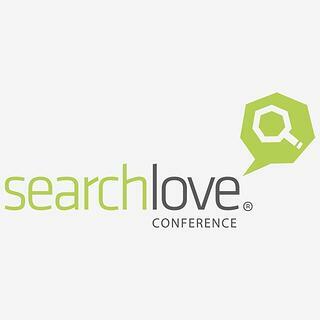 the Page One marketing team headed down to the Distilled SearchLove Conference in Boston. For two, coffee filled days we learned online marketing pro tips and projections for the future of SEO. There was a lot of information to digest and the conference, as a whole, was incredibly motivating but there were a few things I that I knew would important for my work as an SEO immediately. Mobile usership is now. Mobile makes up 50% of search worldwide, 30% of online shopping is done on mobile, and 90% of mobile users browse while at home (not just out-and-about). Mobile is now the more capable computer (over desktop) because it is always signed in, it gives users personalized results, and it interacts with the world around it. As searchers, we have evolved and demand a more personalized experience based on preferences and location. As an SEO, I know our team is excellent at optimizing websites for desktop, but now is the time to turn our attention equally towards optimizing for mobile. The mobile usership conversion is a great way to segway into my next takeaway. Remember Google’s 2015 mobile-friendly update nicknamed Mobilegeddon that was going to change the world, but then everything was totally fine? Well, this month Google’s mobile-friendly algorithm will be weighed more heavily. So if your company put in a lot of work to make your site mobile friendly over the past year, then you don’t have to worry about seeing negative impacts in your analytics and should start to see ranking benefits in the very near future. If your website is still not responsive or mobile-friendly, check the Google mobile-friendly tool, and check Google’s mobile guidelines. Location, location, location. If you don’t have a physical address in the city you want to service, you not getting into the local pack. What’s the local pack? Well, it's that cliquey little group of 3 local business results in the show up in desktop and mobile SERPs. What should your company do if you have a service area? Focus on organic search. Your business needs to be listed where Google expects it to be listed. Make sure your business name, address, phone number, and website (a.k.a. NAP+W) is listed consistently across relevant industry-related and local directories. Also, don’t forget the power of using real photographs and getting reviews and testimonials. As a user, I tend to rely on a business’ reputation before I make a purchase or visit a local store and I think most users feel the same way. At Page One, we encourage the companies we work with to ask their customers for honest, helpful Google My Business, Yelp, etc. reviews and rankings (those little stars next to business names!) in order to build an online reputation that reflects the one they have created in their local community. We need to build brands that transcend technology. Over the next 5 years, brand authenticity will win because consumers are changing really fast and setting the bar high for companies. It’s time to evolve our approach to marketing strategies and ensure we are creating durable campaigns that denote honesty, reliability, and integrity. As you can see, the conference was very mobile-centric because mobile use is, well, only growing. It’s an exciting challenge for us marketers to use new marketing tactics to create long-standing, relevant campaigns for our clients. To learn more about the importance of mobile optimization, check out Alex’s blog post from last week.